The Heritage Education Trust recognises and promotes good practice in learning services within the historic environment and related collections. Recognition is made through the annual Sandford Awards for Heritage Education, which assesses the provision of quality education in and about historic sites, buildings, museums, galleries, cathedrals, places of worship, gardens, landscapes and historic artefacts. Promotion is through advocacy and a network of good practice. This is undertaken in many ways including specific projects under the banner of HERO - Heritage Education Regional Outreach. The Trust seeks to encourage innovation, transferability and sustainability alongside fun and enjoyment in education programmes. Working with its partner Bishop Grosseteste University College Lincoln, the Trust offers a consultancy service to support relevant properties and encourage teachers to look for the Heritage Education Trust's quatrefoil logo and the Sandford Award Winners’ Plinth logo as quality assured indicators when seeking appropriate venues for out of classroom learning experiences within the historic environment. The Directors and Judges of the Heritage Education Trust were saddened to learn of the death of Catherine, Lady Sandford in July 2011, since the death of Lord Sandford in 2009, Lady Sandford, had been President of the Trust. However following her husband's debilitating stroke over fifteen years previous to his death, Lady Sandford had continued his watching brief to ensure that the Awards for Excellence in Heritage Education inspired by him and named after him survived and flourished. She accompanied him to many of the Sandford Award Presentations steering his wheelchair and being an encouraging figure to winners and administrators of the Award. She was always keen that the standard was maintained and, if possible, that the bar was raised. Catherine, Lady Sandford was a true inspiration when she attended the 2010 Sandford Awards Presentation, very appropriately, held in The House of Parliament to honour that year's winning properties, one of which was the Mother of All Parliaments. For it was in the House of Lords that John Sandford had been so active, especially in the Department of the Environment, where he was inspired by the 1977 European Year of Architecture to In 1977 to instigated the Sandford Awards to encourage teachers to visit stately homes, castles and cathedrals and use them within their school curricula. In 1983 he recruited the chairmen of The National Trust, English Heritage and The Historic Houses Association to join him in founding The Heritage Education Trust to administer The Sandford Award. The scope of the Award has evolved over the last twenty five years and now embraces all manner of sites and properties that offer educational opportunities for learning within the historic environment throughout the United Kingdom and Ireland. Lord Sandford maintained a keen interest in the work of the Trust and the recipients of the Awards that bear his name; a legacy continued by Catherine. The Directors of the Heritage Education Trust and the members of the Judges' Panel for the Award are committed to maintaining the standard of The Sandford Award as a testament to the pioneering work of Lord and Lady Sandford, which is as relevant today, as it was when he established the Trust and the Sandford Award. They will ensure that the Heritage Education Trust continues to support teachers by encouraging, recognising and promoting quality education services and delivery with the historic environment. 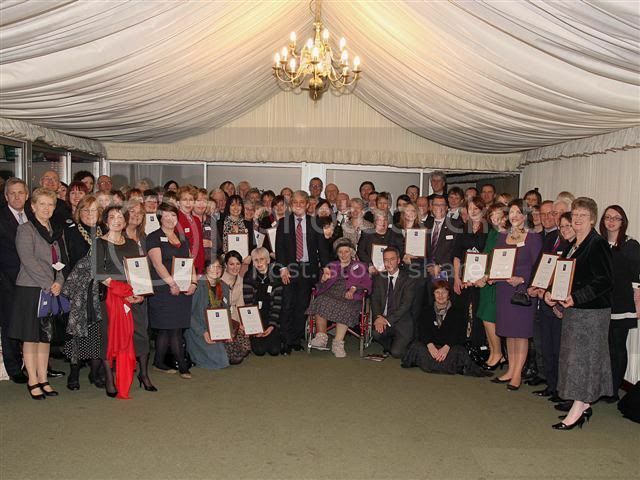 On the Terrace of the Palace of Westminster, surrounded by the recipients of the 2010 Sandford Awards for Heritage Education is Catherine, Lady Sandford, centre, being welcomed by The Speaker of the House, the Right Honourable James Bercow, MP, who addressed the winners following the Presentation there in November 2010. Philip Neal, MBE The Heritage Education Trust is sad to learn of the death of Philip Neal a member of the Trust and founding member of the Judges' Panel for The Sandford Awards for Heritage Education. For over twenty years Philip lead the panel of judges, who visited properties within the historic environment of the British Isles, at their application, to assess them against the criteria of the Award Scheme. His experience at the chalkface of schools and his love of the environment and heritage were put to good use to encourage excellence in the offering of learning outside the classrooms in education in and about our historic environment. Philip had a keen eye and gentle manner, which with a mischievous sense of humour, endeared him to his fellow judges, most of whom were privileged to have been trained by Philip. This was usually done by accompanying him on assessment visits and being told to 'look out for the parrot'. He regaled the Panel meetings with tales of past visits and encounters with property owners, curators, administrators, teachers and children. His level of inspection missed little and often included purchases from the Gift Shops to show the appropriateness of stock for young patrons. The rigours of travel and declining health lead to Philip retiring from the Sandford Awards in 2000.Following a long illness, Philip Neal, MBE, passed away peacefully on 15th November 2011, aged 88 years. 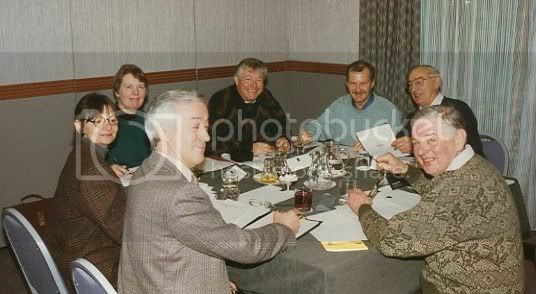 Philip Neal, MBE, far right, chairing a meeting of the Sandford Awards Judges' Advisory Panel for the Heritage Education Trust in 1993.